Lead Time is an important factor in any demand-driven forecasting or retail replenishment system. It drives your order points and helps you place orders at just the right time. If your lead time is inaccurate you will quickly find yourself overstocked or understocked. 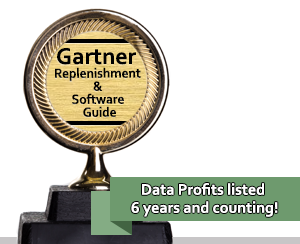 Atlanta, Georgia – Feb 13, 2018 – Data Profits Inc. (www.Data-Profits.com), a leading provider of mid-market retail forecasting and replenishment software, is proud to announce that they have been included in the prestigious Gartner Inc. 2017 Market Guide for Retail Forecasting and Replenishment Solutions. 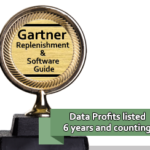 This Guide was compiled by Gartner Research VP, Mike Griswold, who has worked at Gartner for 12 years and has 32 years of industry experience. One of the Key Trends highlighted in 2017 Guide by Mr. Griswold is the growing importance of Machine Learning and Artificial Intelligence(AI) in forecasting and replenishment systems. 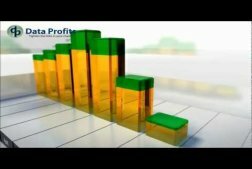 What Demand Forecasting tools are needed in your Demand Forecasting software? 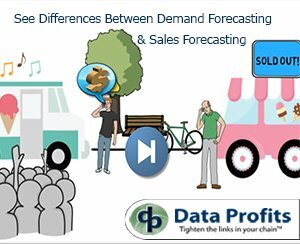 Watch and learn in 2 minutes the questions you need to ask when reviewing demand forecasting software. 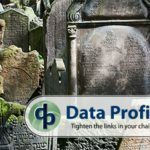 SlideShare lists 3 critical things missing in 80% of inventory replenishment and demand forecasting software today. Learn how these three things react to the new internet of things world of your customer. These 3 things have contributed significantly to the record high store closings expected in retail this year, over 17,000. As June passes we think ‘vacation’. A tropical island is my vacation dream. My northern friends often ask how can I stand the extreme heat of the tropic. The answer to that question is also the highlight of our content this month – I adapt fast. The human body of is highly adaptable. “Our bodies, highly amenable machines that they are, can acclimatize to cold environments and warm environments, alike.” The internet of things (IOT) has been battled by the movie business longer than anyone. VCR, Netflix, Redbox and even YouTube have put the heat on the movie business. The movie business has done a great job “ADAPTING” by cutting locations, changing products and adjusting even things like length of movie and credits all to entice the customer to go to a movie. While many consultants and bloggers write about the end of brick and mortar retail, this is far from certain. I leave you with a quote to think about as you read this month’s cover stories. 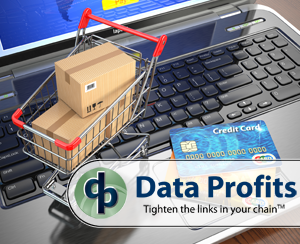 Atlanta, June 13, 2017 Data Profits updates their Demand Forecasting & Inventory Replenishment Software to offer additional tools to aid Retailers, Wholesalers, and Distributors with IoT Success and Survival. 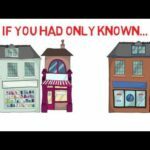 An April 22, 2017 CNN Money article states that it’s possible more than 8,600 brick-and-mortar stores will close their doors in 2017 (exceeds previous record set in 2008 of 6163 stores). This highlights the need for retailers to become adaptive or die. Retailers, wholesalers, and distributors must change inventory replenishment methodologies and software to adapt to quicker customer demand requirements. The IoT has changed the way people shop as well as customer expectations. “If a business does not adapt their replenishment to faster reaction times, they risk losing their customer, and ultimately their business,” said Stuart Dunkin, CEO Data Profits. Are Brick Stores Really the Dinosaurs of Retail?